Going from confusion to feeling in control of my future has been a revelation. Many of our clients have found that transferring and bringing their pensions together under one roof saves time and increases their investment options. Tom Strowlger, who runs his own credit control business, was finding it hard to manage all the pensions he’d built up. He explains why he started an HL SIPP (self-invested personal pension). This article is not personal advice. If you are unsure of an investment or course of action for your circumstances, please seek advice. "The HL SIPP gives me the flexibility I need. I can change my contributions online, which works well for me as I run my own business and my earnings fluctuate. If I’m having a tricky year, I can bring my contributions down or even stop them. When business is going well, I can choose to add lump sums. I started saving into a pension at a young age and quickly ended up with five policies. It felt like lunacy to me, and was a real challenge to look after. I’d get an annual statement for each and they’d arrive at different times. They were vague and it was impossible to work out how much I had overall. The pensions were also fairly bland. They offered a poor selection of investments and hadn’t given me a good return. A friend told me about Hargreaves Lansdown. The idea of being able to control my pension online with my phone really appealed, so I decided to open an HL SIPP. I started off just contributing a small amount each month and have since transferred in my five pensions. Transferring was much easier than expected and HL arranged it all. I now have 24/7 control over my pension’s potential and much more choice. I’ve enjoyed choosing investments and look for shares that pay high dividends. The income they generate beats any standard interest rates at the moment. I’m a bit of a stock picker but plan to move to a more conservative portfolio as I get older and nearer retirement. My wife has also started an HL SIPP and transferred her other pensions in. We’ve linked our accounts, which means I can see hers when I log in to my own. This makes things much easier and saves us time. My only regret has been not sorting out my pensions sooner. Going from confusion to feeling completely in control of my future has been a revelation." The HL SIPP is a type of pension that offers a flexible way to invest tax efficiently for your retirement. Instead of limiting your investment options, the HL SIPP opens the doors, giving you more flexibility in how you invest your money. If you want to find out more about a SIPP, tax savings or how it all works, just visit our Pensions pages or call us on 0117 980 9926 (Friday 28 December: 8am - 5pm, Monday 31 December: 8am - 1pm, Tuesday 1 January: closed. Normal hours are Monday - Thursday: 8am - 7pm, Friday: 8am - 6pm, Saturday: 9.30am - 12.30pm). Before applying, it’s important you understand the risks, key features and terms and conditions (including tariff of charges) of the SIPP. You can normally only access monies in your pension from age 55 (rising to 57 by 2028). Have you thought about making more of your old pensions by consolidating them in the HL SIPP? With your pensions in the same place you’ll have more control, flexibility and oversight. Even better, you’ll only need to deal with one company – HL. Some pensions have valuable guarantees that would be lost and others have high exit charges. So consolidating won’t be right for everyone. Before transferring a pension you should check for both of the above. Pensions are usually transferred as cash so you will be out of the market for a period. The value of investments can rise and fall, so you could get back less than you invest. Tax rules change and their benefits depend on your individual circumstances. 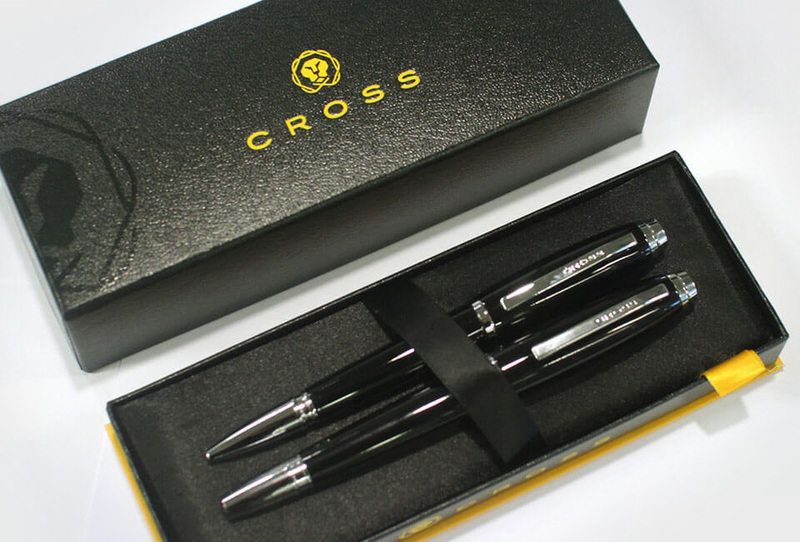 Transfer pensions worth over £10,000 to the HL SIPP to qualify for a free Cross pen set worth £125. Terms apply – see below. To automatically qualify, you must apply to transfer before 10 February 2019. Need more time to decide? Just let us know and we might be able to give you an extension. You’ll receive your pen set after the offer closes and all your transfers complete. 1. The offer is that we will send to you a Cross pen set worth £125 when you transfer to us at least £10,000 worth of an existing pension into our HL SIPP from another provider, subject to these terms and conditions. Please be aware of the following exclusions which apply to this offer: (1) new money cash subscriptions won’t qualify for the offer; (2) if the HL SIPP is your current workplace pension and you transfer previous pensions provided by your current employer, then the offer isn’t available for such transfers (3) defined benefit/final salary pensions don’t qualify for the offer. 2. The offer doesn’t apply to investments already held in the HL service, or to switches or transfers between or within existing HL accounts or to income and interest received on any assets held in those accounts. 3. The offer applies to those with the following transfer application codes AWS7I, APSND, APSNE and OTK. To be eligible, we must receive the transfer application following the 20th December and by no later than 10th February. The application code can be found on the top right of a SIPP transfer form. As long as we receive your transfer form within the offer period, even if the transfer itself isn’t completed until after it closes, you’ll still qualify. If you need more time to decide whether you want to transfer to us, please let us know and we may be able to extend the deadline for you. To request more time, please email transferoffer@hl.co.uk with your full name and address or call our Helpdesk on 0117 980 9926. 4. The pen set will be sent to you at the address you provide on your application form after the transfer is completed, within 1 month of the date of completion of your transfer as determined by us and once the offer has closed. 5. We reserve the right to cancel or suspend the offer for any reason where it becomes necessary to do so, including where the number of the pen sets available is fewer than the number of qualifying transfers. We also reserve the right to replace the pen set with an alternative of equal value if circumstances make it necessary for us to do so. Other than as set out here, no cash alternative is offered. 6. Only one pen set is available per person. If you transfer to us more than one pension, you will only receive one pen set. 7. The offer cannot be used in conjunction with any other transfer offer. 8. By submitting a qualifying application you agree to be bound by the terms of this offer. The terms are governed by the laws of England and subject to the exclusive jurisdiction of the English courts.